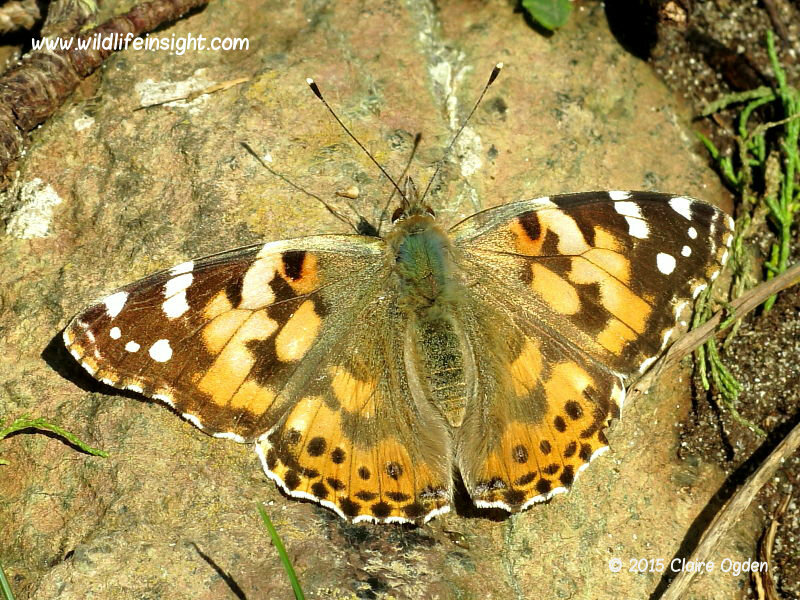 While enjoying the sunshine at the National Trust managed Kynance Cove on the Lizard this Painted Lady butterfly was warming up on the rocks nearby. There doesn’t seem to have been so many this year although we have found a few caterpillars on thistles. This late one was a little pale but looked in good condition so maybe it will still attempt to head south across the Channel in the next few days. A few migrant Red Admirals and their caterpillars are now managing to over winter on the Lizard so maybe Painted Ladies will be the next species to.